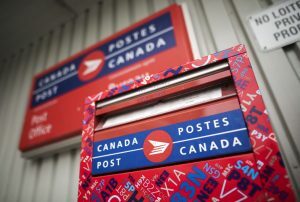 The Town of Fort Erie has made arrangements to minimize the impact that a potential labour disruption at Canada Post may have on Town services. In the event of a postal disruption, the following options are available. The Town’s procurement processes will continue throughout the potential Canada Post labour disruption. Procurement closing times/dates will not be extended. It is the responsibility of the respondent to ensure submissions are received prior to deadlines. Accounts payable invoices can be dropped off at Town Hall, faxed to 905-871-9984 or emailed to payables@forterie.ca. Vendors who are concerned about possible delays in the receipt of their payment should contact Accounts Payable at 905-871-1600 ext. 2309 to make arrangements. For applications in August (and beyond) during the mail strike, the Planning Division will continue to process applications in accordance with the legislative requirements of the Ontario Planning Act, c.P.13, R.S.O 1990.
hand-delivered to those persons within 120 metres of a subject site specific application (public meeting notices only). For more information, please contact the Fort Erie Customer Service Unit at 905-871-1600 or visit www.forterie.ca. I’ve asked in the past, and I’m glad we can finally get a paperless water bill. That will save the Town thousands every month in postage! This water bill is the only one that still gets mailed to my house. If you have the ability to send me a pdf copy could you not give us the option of ebills going forward and save postage costs in future? Hi Janine! Thanks for your reply. I am glad to hear that the town is working on e billing. I have been wondering about this for quite some time. Thank you for the update and status report.